There are two items my grandmother always had in her pantry. The one was pickled onions and the other was crunchies. I could eat the entire jar of her pickles in one setting had she let me. Wanting to replicate her crunchies but add my own twist, I came up with these blueberry and white chocolate crunchies. In September last year I upgraded my Polar Loop to a Polar A360. It has the added benefit of measuring my gym training and has a built in heart rate monitor. I found it cheaper in England than here and asked Mark to bring it over with him when we met up in The Netherlands. He was able to buy it from the company he works for, saving me a few extra Pounds. Within six weeks the band had started stretching and I was not the only one with the issue. A friend had the same problem with hers. I decided to send Polar South Africa an email to let them know about the problem and to see what they could do. Their after sales service is excellent. Within a few hours I had a reply, asking for a copy of the receipt and the serial number of my unit. The next morning the courier arrived at the door with a new replacement band, free of charge. There was no issue with me having purchased the product out of South Africa, and no quibbles about replacing the band. This morning I decided to swap over my old band to the new one. And I think it is a different type of plastic. Of course, I won’t really know until I have worn it for a few months. I mainly use my fitness tracker to monitor the length of my training sessions and the calories burnt. Some days are better than others and on those days, a sweet treat is just reward. In fact, for a few mornings after making these blueberry and white chocolate crunchies I even had them for breakfast. Anything with white chocolate in it is a winner with me. Tese sounds right up my alley. Cant wait to try your adaptation from your grandmas crunchie, they sound and look amazingly delicious. Ooh are these like crunchy muesli bars? They sound really good! And good after sales service should always be commended. Many are lovely before you buy an item but absent afterwards. These crunchies sound and look divine, Tandy. My family love crunchies so I am saving this recipe for future use. Your grandmother sounds like a smart woman, love everything about these crunchies, they almost remind me of paddles. Great recipe, thanks Tandy! Blueberry and White Chocolate sounds like a delicious combo. I bet bran flakes must have added a nice texture and taste. These Crunchies would make a nice brunch. 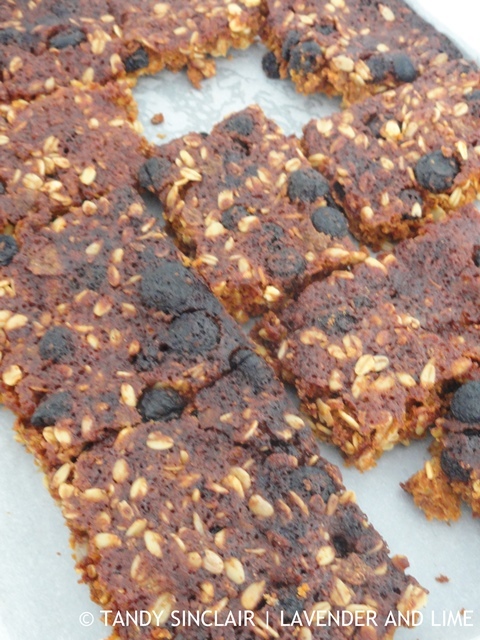 These crunchies look delicious – kind of like a homemade granola bar. I like the blueberry + white chocolate combo. 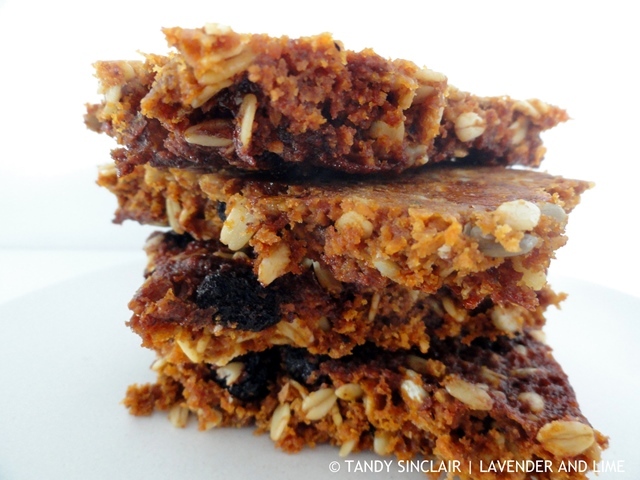 These sound full of good things; coconut, seeds and blueberries. Bet they’re good with a nice cup of tea.